In March, when Tesla received hundreds of thousands of pre-orders for its new Model 3, pundits criticized the company for over-promising. Apparently, they don’t know enough about Elon Musk. Last week, Tesla raised $1.7 billion in a stock sale, selling 6.8 million shares for a cool $215 each. Musk’s audacious goal is to build about 500,000 Model 3s a year by 2018. Within three days of announcing pre-orders, 276,000 were placed, rising to 375,000 since then. Tesla will invest $2.2 billion to get production levels up to meet demand. That’s an enormous jump from the 50,000 vehicles produced in 2015, but never underestimate Elon Musk. Priced at $35,000 (before incentives), the Model 3 is Tesla’s first car that’s affordable for mainstream purchasers. Its features can’t be beat: a gorgeous car with an all-glass top; a 215-mile range; the ability to accelerate to 60 mph in under 6 seconds; and a 5-star safety rating. About 100,000 will be delivered at the end of 2017. The cars will be built in California and the batteries at Tesla’s new Gigafactory in Nevada. 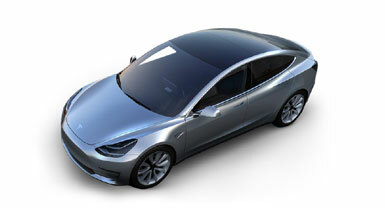 Read our article, Tesla’s Success Marks New Age for Electric Cars. In 2014, Toyota raised $1.7 billion through a Green Bond to finance loans and leases for hybrids and electric vehicles. Since then, it has raised $4.6 billion using green bonds. This year, Hyundai issued $500 million in green bonds to support the launch of 26 clean vehicles by 2020. More automakers will likely do the same to diversify their funding base, reports Bloomberg.